This project is so cool and you can spend as much time putting together as you want. Make the chain large or small. We made one about 15 feet and it only took 15-20 minutes for us to figure it out and build it that long. Basically, you weave them in a way that they create this locked chain. 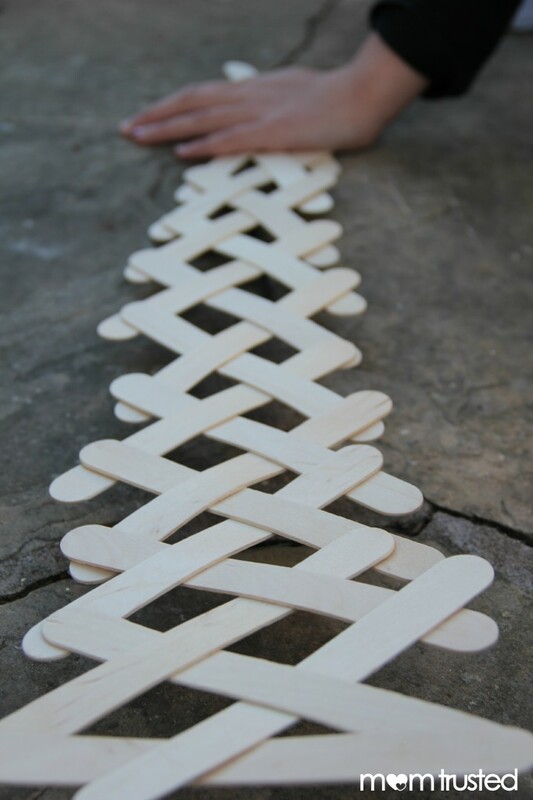 When you let go of the end you’re building the popsicle sticks explode in an awesome chain reaction. It’s so fun. If you want to build your own I suggest watching this video. The kid does a great job of explaining how to put the chain together. This is way cool My 5-year-old is learning to count to 100. I think this would be a fun way to do it. Thanks for posting this! The videos were helpful.